Luggage: Good luck with that! The Dilema! Three weeks clothes, medicine, hats, hiking shoes, winter coats (95° in Md, 105° heat index today), art supplies, art carts, art supplies for the class we are giving in Anchorage. 2 bags checked free, 62 inches and under 50lbs. 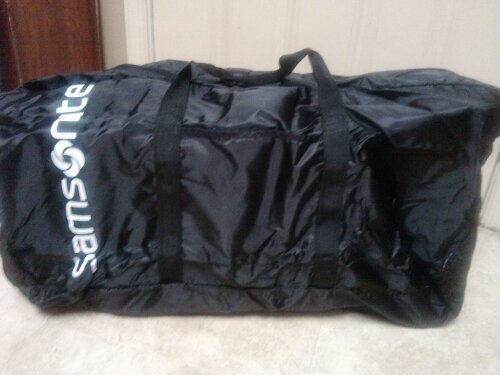 Two carry on bags. Hmm! Well, to start Carol and I checked our luggage at home. That went well Carol and I found luggage that rolled(attic shopping). Hooray! Now, the art carts were becoming a problem. Carol thought of having canvas bags made for art carts. I went to staples for bussiness card case. After searching around for the card cases, I found the travel accessories isle. 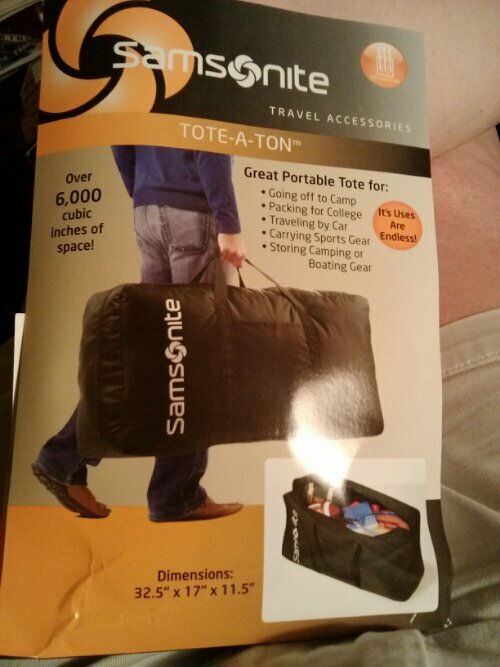 What to my wondering eyes did appear, large heavy nylon bags by Samsonite: Tote a Ton measure 62inches. Yeah, under the legal limit. I bought the last two bags. Now to see if they fit the art cart. And they did!!!!! Now to pick it up! I will have to work on that. 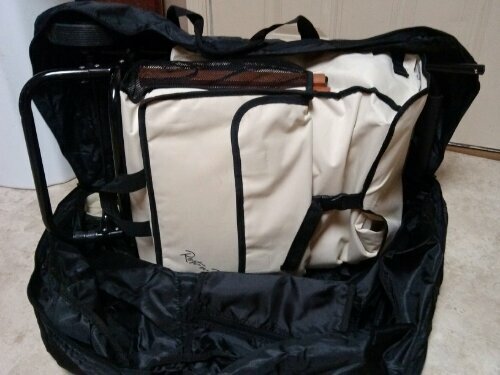 Bag with art cart inside, perfect fit.